Most Indian households are dusted, swept, and mopped everyday, if not twice a day, yet that cleanliness manifests itself only within the confines of individual homes, or so I guess. In East Delhi and NOIDA, the two parts of the city that I have been in so far, there is trash strewn all around especially on the roadsides and any open piece of square footage. The garbage disposal system, if it can be called such, is strange. I am not sure I want to call it archaic, because the Indus Valley civilization had a sophisticated sewage system and even had flush toilets according to ancient texts. However, today, as I see it, household garbage is taken in small plastic bags from households by a hired help who leaves that bag at the first open space that he finds within walking distance. 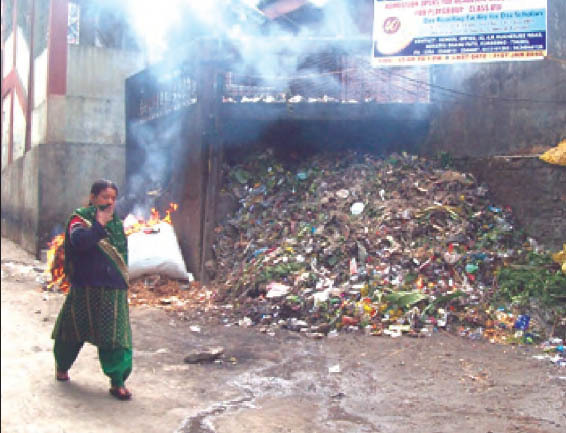 As a result, on my morning walks the putrefying organic waste emanated an overwhelming stench that was so overpowering and pervasive that I could smell it on my clothes every time I came back into the house. As you may have guessed, the morning walks will have to be discontinued while I am in Delhi. Clearly, public hygiene is not a priority; the dichotomy between the public and the private levels of hygiene still has me baffled! yes we are bad at public hygiene. the common man thinks that the road or any other public open space is his puiblic property. 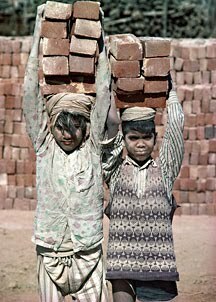 Thats very true Child labor is rampant and practiced blatantly in India.